We had over 50 brilliant people take part in three SUP Paddle & Pick sessions at our second event. The evening ended with a screening of the award-winning surf adventure documentary about following the dream, Nordfor Sola / North of the Sun. 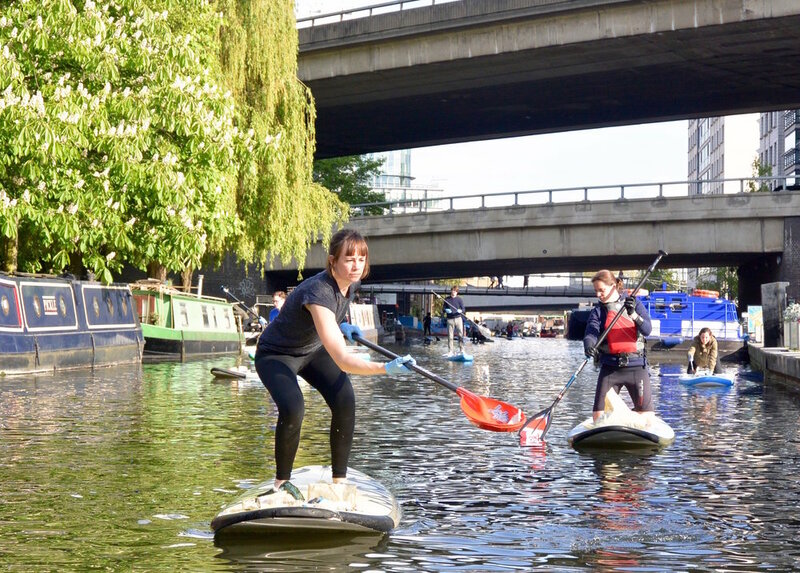 We counted and categorised the litter collected at this event: altogether, 760 pieces of litter were removed from the canal over the three Paddle & Picks from Paddington Basin to Little Venice. Have a laugh with the Out of Depth guys who wanted to try something they'd never done before. 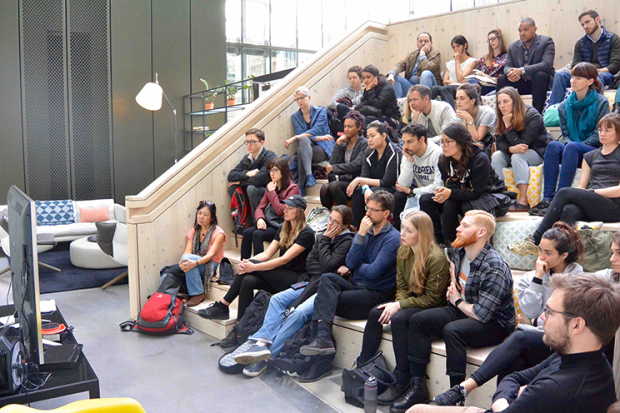 The team were lucky enough to catch the lovely Rachel Lincoln Sarnoff and Lia Colabello from the 5 Gyres Institute over a tasty and inspiring breakfast meeting by the canalside at KuPP Paddington. Great news! We are now part of the Barnes Film Festival which will take place from 29th September till 1st October. More information on our Events page. Our kick off event was a great success with over 30 participants attending both the Plastic Ocean documentary screening and the Paddle & Pick. Read more about the event in Stand UP Paddle Magazine and SUPBOARDER Magazine. Festival starts today - Earth Day! Looking forward to celebrating Earth Day 2017 today with you at Paddington Central, Sheldon Square, in London where we'll be joined by TerraCycle UK who are doing some important and intriguing work in recycling and upcycling waste that is typically hard to recycle. Come and learn how the magic works and check out their Beach Plastic Recycling Programme online.